« Gov. Palin: Happy Earth Day! Here’s How to Celebrate It! Confederate Memorial Day, a state holiday (or observance day, in some states) when Confederate soldiers who died in the Civil War are remembered, is observed in 12 Southern states each year. (The date, name of the holiday, and event memorialized varies between states.) Sons of Confederate Veterans also observe the holiday in Maryland and Pennsylvania. The Confederate Memorial Committee of the District of Columbia holds annual memorial services at the Arlington National Cemetery. Each President from Woodrow Wilson through Bill Clinton placed a wreath at the Confederate Memorial on Jefferson Davis’ birthday (June 3). President George W. Bush changed the observation to coincide with Memorial Day. This year will mark 151 years since the start of the Civil War on April 6, 1861. Confederate Memorial Day is on April 26 in Georgia (as well as Alabama and Florida) but is observed as a state holiday on the fourth Monday in April. The Confederate Memorial Carving at Stone Mountain Memorial Park near Atlanta covers 3 acres of mountainside and is the world’s largest bas-relief sculpture. A memorial service was held at the Carving Reflecting Pool at Stone Mountain on April 14 this year by the Sons of Confederate Veterans. Local memorial services at Confederate cemeteries and monuments were held in advance of the state holiday at Cassville, Kingston, Cartersville, Rome, Lawrenceville, Douglasville, Newnan, Albany, Lee County, and Savannah and will be held in Columbus and at 8 different locations in Warner Robins, Macon, Byron, and Fort Valley on April 27th and 28th. See a list of Georgia Confederate monuments here. 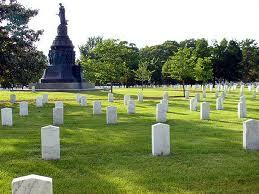 Thousands of Civil War dead on both sides of the conflict were hastily buried at or near the sites of battlefields. Although thousands were returned to their home states or regions for reburial, thousands more still lie far from their homes. Many still lie in unmarked graves. This is true of both Confederate soldiers and Union soldiers. One can only imagine the agony of families who never knew where their war dead were buried. Most of the 320,000 Union soldiers and 300,000 Confederate soldiers who died were young men in their teens and early twenties . With today’s population, the total dead would be equivalent to 6. 5 million men today (see Miller’s Notes). Both sides of the conflict believed that they fought for a just cause but for different reasons. Contemporary textbooks would lead one to believe that slavery was the primary reason the civil war was fought. The emancipation of slaves was a positive outcome of that tragic war, but according to analysts like Donald W. Miller, Jr., the primary causes of the war were states’ rights and fiscal issues. We learn that Jackson, who “drew his inspiration from God and his faith in Jesus Christ more than anything else,” worried over the spiritual salvation of his men and welcomed the distribution of Bibles and tracts among them. Prayer, for Jackson, was as “natural as breathing,” the film shows. Jackson’s superior officer, Robert E. Lee, was no less a man of God. About 15,000 Southern soldiers made a “profession of faith in Jesus Christ” during that particular period, the film points out, “in a revival among the troops that continued to the end of war.” In all, approximately 150,000 Southern soldiers embraced the Christian faith during the four-year war. Since this is hot-button material, you should know something about the reviewer also. I was born in and have lived nearly all of my life in Wisconsin. I don’t care about Political Correctness, but I care about Biblical and historical truth. I’m a student of history in general and of this time period in particular. What were the issues that compelled these men of faith to lead their armies into battle? The term Civil War is a misnomer. The South did not instigate a rebellion. Thirteen southern states in 1860-61 simply chose to secede from the Union and go their own way, like the thirteen colonies did when they seceded from Britain. A more accurate name for the war that took place between the northern and southern American states is the War for Southern Independence. Mainstream historiography presents the victors’ view, an account that focuses on the issue of slavery and downplays other considerations. The Constitution of the Confederate States of America prohibited the importation of slaves (Article I, Section 9). With no fugitive slave laws in neighboring states that would return fugitive slaves to their owners, the value of slaves as property drops owing to increased costs incurred to guard against their escape. With slaves having a place to escape to in the North and with the supply of new slaves restricted by its Constitution, slavery in the Confederate states would have ended without war. A slave’s decreasing property value, alone, would have soon made the institution unsustainable, irrespective of more moral and humanitarian considerations. The rallying call in the North at the beginning of the war was “preserve the Union,” not “free the slaves.” Although certainly a contentious political issue and detested by abolitionists, in 1861 slavery nevertheless was not a major public issue. Protestant Americans in the North were more concerned about the growing number of Catholic immigrants than they were about slavery. In his First Inaugural Address, given five weeks before the war began, Lincoln reassured slaveholders that he would continue to enforce the Fugitive Slave Act. After 17 months of war things were not going well for the North, especially in its closely watched Eastern Theater. In the five great battles fought there from July 1861 through September 17, 1862, the changing cast of Union generals failed to win a single victory. Did saving the Union justify the slaughter of such a large number of young men? The Confederates posed no military threat to the North. Perhaps it would be better to let the southern states go, along with their 4 million slaves. If it was going to win, the North needed a more compelling reason to continue the war than to preserve the Union. 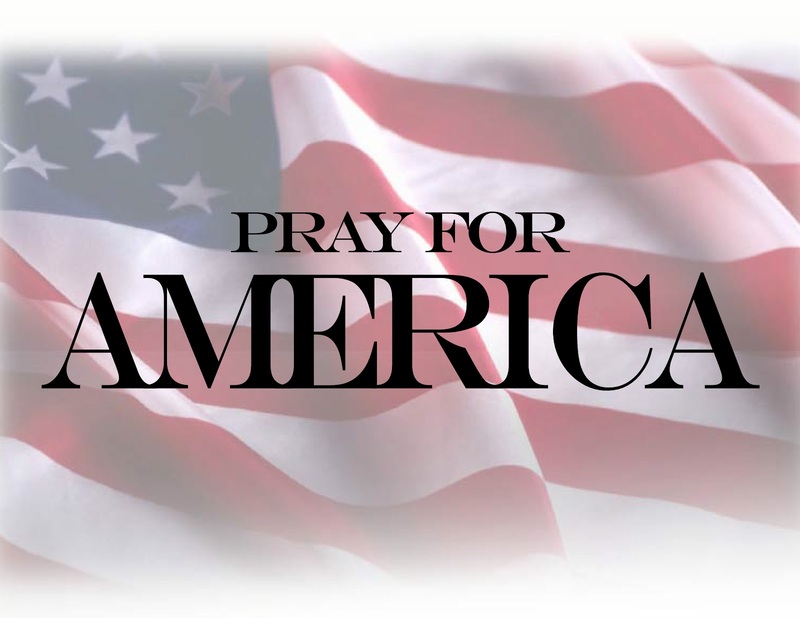 The North needed a cause for continuing the war, as Lincoln put the matter in his Second Inaugural Address, that was willed by God, where “the judgments of the Lord” determined the losses sustained and its outcome. Five days after the Battle of Antietam, on September 22, 1862, Abraham Lincoln issued his Emancipation Proclamation. Union means so many millions a year lost to the South; secession means the loss of the same millions to the North. The love of money is the root of this, as of many other evils. The quarrel between the North and South is, as it stands, solely a fiscal quarrel. The war between the North and the South is a tariff war. The war is further, not for any principle, does not touch the question of slavery, and in fact turns on the Northern lust for sovereignty. The South fought the war for essentially the same reason that the American colonies fought the Revolutionary War. The central grievance of the American colonies in the 18th century was the taxes imposed on them by Britain. Colonists particularly objected to the Stamp Act, which required them to purchase an official British stamp and place it on all documents in order for them to be valid. The colonists also objected to the import tariff that Britain placed on sugar and other goods (the Sugar Act). After the enactment of what was called the “Tariff of Abomination” in 1828, promoted by Henry Clay, the tax on imports ranged between 20-30%. It rose further in March 1861 when Lincoln, at the start of his presidency, signed the Morrill Tariff into law. This tax was far more onerous than the one forced on the American colonies by Britain in the 18th century. Lincoln coerced the South to fire the first shots when, against the initial advice of most of his cabinet, he dispatched ships carrying troops and munitions to resupply Fort Sumter, site of the customs house at Charleston. Charleston militia took the bait and bombarded the fort on April 12, 1861. After those first shots were fired the pro-Union press branded Southern secession an “armed rebellion” and called for Lincoln to suppress it. Congress was adjourned at the time and for the next three months, ignoring his constitutional duty to call this legislative branch of government back in session during a time of emergency, Lincoln assumed dictatorial powers and did things, like raise an army, that only Congress is supposed to do. He shut down newspapers that disagreed with his war policy, more than 300 of them. He ordered his military officers to lock up political opponents, thousands of them. Although the exact number is not known, Lincoln may well have arrested and imprisoned more than 20,000 political opponents, southern sympathizers, and people suspected of being disloyal to the Union, creating what one researcher has termed a 19th century “American gulag,” a forerunner of the 20th century’s political prison and labor camps in the former Soviet Union. Lincoln called up an army of 75,000 men to invade the seven southern states that had seceded and force them back into the Union. By unilaterally recruiting troops to invade these states, without first calling Congress into session to consider the matter and give its consent, Lincoln made an error in judgment that cost the lives of hundreds of thousands of Americans. At the time, only seven states had seceded. But when Lincoln announced his intention to bring these states back into the Union by force, four additional states – Virginia, North Carolina, Tennessee, and Arkansas – seceded and joined the Confederacy. Slavery was not the issue. The issue was the very nature of the American union. If the President of the United States intended to hold the Union together by force, they wanted out. When these four states seceded and joined the Confederacy rather than send troops to support Lincoln’s unconstitutional actions, the Confederacy became much more viable and the war much more horrible. The Constitution of the Confederate States of America forbid protectionist tariffs, outlawed government subsidies to private businesses, and made congressional appropriations subject to approval by a two-thirds majority vote. It enjoined Congress from initiating constitutional amendments, leaving that power to the constituent states; and limited its president to a single six-year term. When the South lost, instead of a Jeffersonian republic of free trade and limited constitutional government, the stage was set for the United States to become an American Empire ruled by a central authority. In starting his war against the Confederate States, Lincoln was not seeking the “preservation of the Union” in its traditional sense. He sought the preservation of the Northern economy by means of transforming the federal government into a centralized welfare-warfare-police state. Paroled from the prison camp at Johnson’s Island, Ohio shortly before the end of the war, my grandparent Louis Hicks walked, barefoot, back to North Carolina to his home named “Liberty Hall” in the town of Faison. But instead of enjoying a new birth of freedom, he and his family, along with other people in the South, had to endure a twelve-year military occupation and an oppressive Reconstruction instituted by radical republicans. Reflecting on the War for Southern Independence let us hope that the Confederate Battle Flag that Louis Thomas Hicks’ North Carolina regiment carried with it into battle at Gettysburg, with the cross of Scotland’s patron saint emblazoned on it, will come to be viewed in the 21st century, not as an badge of slavery, which it is not, but as a symbol of opposition to centralized government power and tyranny. This entry was posted on April 23, 2012 at 7:17 AM	and is filed under Uncategorized. You can follow any responses to this entry through the RSS 2.0 feed. You can leave a response, or trackback from your own site.